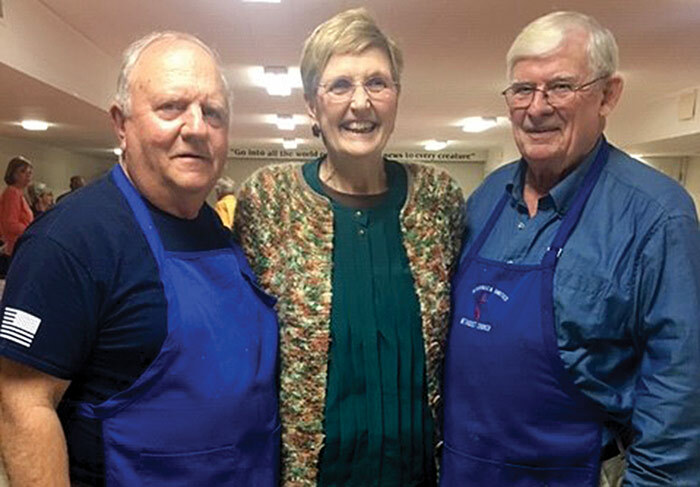 From left, James Tadlock, pastor Penny Cory and Tim Giese prepare to serve over 600 meals at the recent Kilmarnock United Methodist Men spaghetti supper. “Thanks to this wonderful community, we will be able to support worthwhile local organizations,” said president Jim Bennett. Organizations include Boy Scouts of America Troop 242, Interfaith Service Council, Northern Neck-Middlesex Free Health Clinic, The Link and Heart Haven.